I searched and could not find any information on pedal issues with AP1s, Mine is a 2005 AP2 with non-DBW so I am guessing it is identical to the AP1s throttle cable. It has been cool and rainy for several days with 35-50 degrees, but today is sunny and around 60 degrees so I drove my S. This morning whenever I pressed on the gas pedal it feels like it catches something and suddenly it comes up in rpm, thus making my take off on the first gear interesting. The idle seems fine and steady, I think the throttle cable is the issue or possibly needing lube somewhere. Anyone knows where I should start checking first? Does it have an aftermarket or bored out throttle body by chance? When I bought my car it had a S2 TB and the throttle plate would stick closed, replaced it with a used OEM and everything is fine now. Try manually turning the rotor on the throttle body to see if it sticks. If not then it could be the cable. It is a stock TB. It only started acting up after heavy rains and I did not drive it at all. I have about 45 minutes, thought it would go away but I still feel pedal sticking as I press the gas, will open the hood when I get home. Yep to echo the poster above. Twist the linkage at the TB to see if it still feels sticky or not. If it does not, then its further back, either the cable or the pedal itself. Got under the hood and I feel it sticks a tiny bit when opening by hand, man my foot must be sensitive or humidity plays a big enough role. Applying a little pressure closing the flap it definitely sticks harder when opening. Going to take it apart this weekend for cleaning. I am guessing I need the TB gasket when putting it back together? 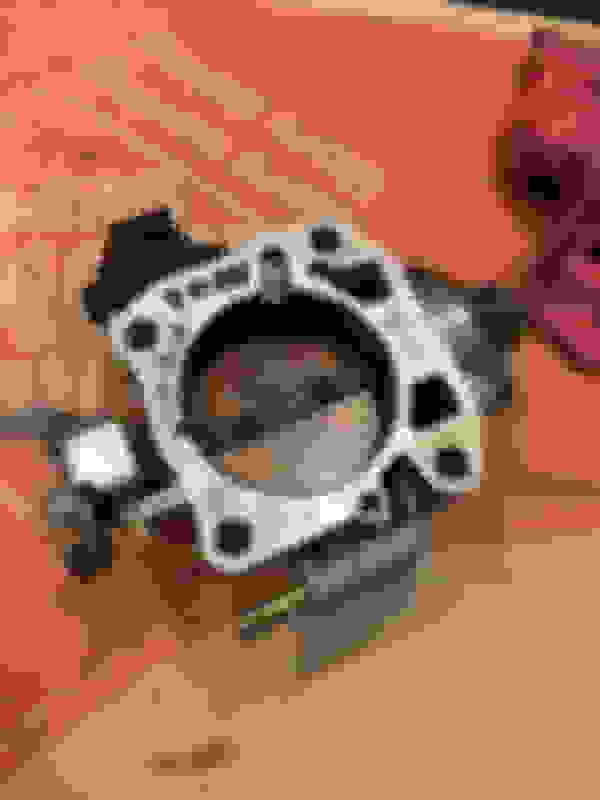 Do the gaskets typically break with servicing? Last edited by vicrc; 02-07-2019 at 08:35 AM. I would plan on getting another gasket yes. They are just paper and do not always separate cleanly. You may get lucky, may not. But you don't want any air leaks. Best to be prepared unless you got another car to use in the meantime. Thanks Junky! I did get the gasket and yes I definitely needed it. I had to remove the broken gasket that was stuck with a single edge blade. I also reduce the throttle cable slack and the peddle feels great now, no mo sticking. I did however noticed my throttle cable covering is deteriorating, looks like I need to replace my cable.